The follow up restaurant to Jade Dragon is a sophisticated, more muted affair. Whereas its older sister in City of Dreams is full of intricate details, vibrant colours and rich textures, this Studio City venue has a more understated elegance with shades of cream, pearl and gold. 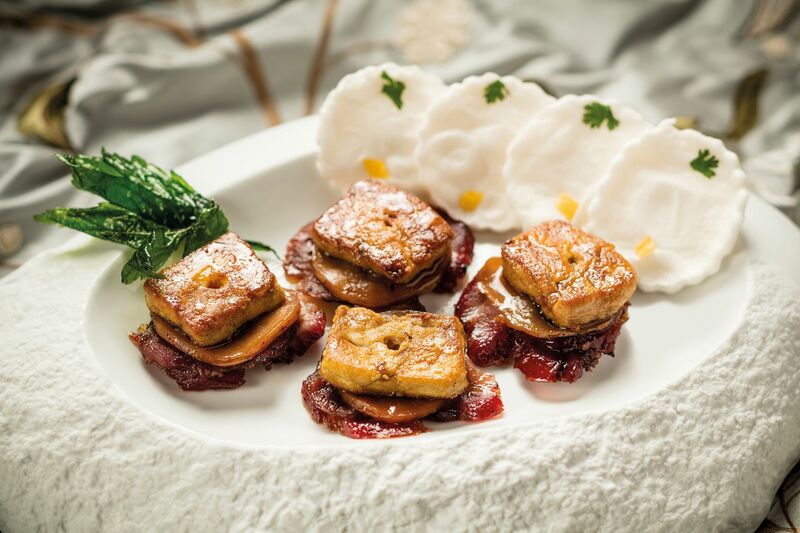 Chef Tam Kwok-fung oversees the lavish menu here, too, which covers Cantonese and regional Chinese specialties with a contemporary slant—ingredients not as commonly seen in the cuisine, such as avocado oil, French morels and figs are used with just as much skill as classic produce. Diners who come to Pearl Dragon should not omit an order of lychee wood-roasted goose, which comes with thin crackling skin and juicy, flavoursome meat—order a bowl of rice as a vehicle for the sweet soy mingled with the goose jus. Braised seasonal vegetables with kuzukiri noodles in a clay pot with preserved taro paste is a good example of hearty Cantonese flavours done with skill and imagination. The tea menu is a highlight and staff are constantly on the ball when it comes to keeping your brew topped up.